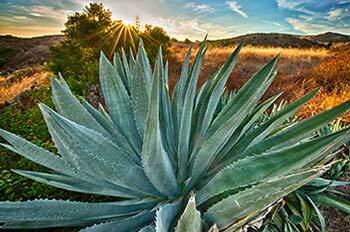 Join Irvine Councilmember Melissa Fox and naturalists on a hike up Agua Chinon Wash to The Sinks, with a visit to one of Irvine Ranch Conservancy’s large riparian habitat restoration projects. 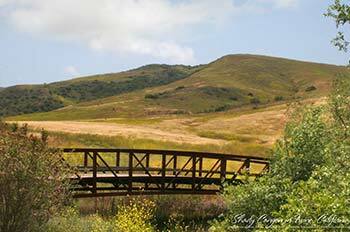 This spectacular hike takes you alongside a dry creek bed in Agua Chinon Wash, the headwaters of San Diego Creek, which meanders through Irvine before eventually flowing into Newport Bay. It begins with a flat, and sometimes sandy walk through lush riparian, or creek side, habitat with periods of shady, oak woodlands. 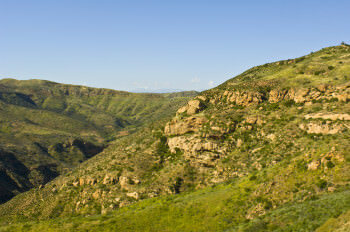 Elderberry and mulefat shrubs abound in the creek bed while the hillsides of the canyon are covered in native sage scrub. 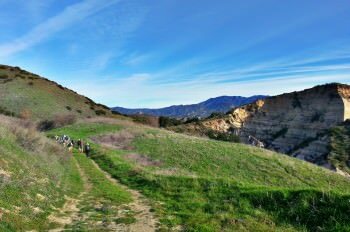 After a couple of miles, the trail begins to climb relatively steeply out of the canyon and away from the creek bed, leading to extraordinary views of the iconic geological formation known as The Sinks. It is sometimes called, “OC’s mini-Grand Canyon.” A rich diversity of plants and animals is found in this canyon, which is currently undergoing habitat restoration. In 2011 and 2012, the Conservancy was awarded funding from Orange County Waste & Recycling and the Orange County Transportation Authority to restore native habitat in the watershed. The hike to the Sinks involves multiple steep climbs and descents and is 6 miles round trip with a 1300′ total elevation change and a challenging hill climb on a dirt ranch road. This hike will be done at a moderate pace of approximately 3 mph with rest breaks as needed. Please bring plenty of water as well as everything you need to keep healthy on the trail (sun protection, medications, snacks) and please wear sturdy closed-toe shoes. 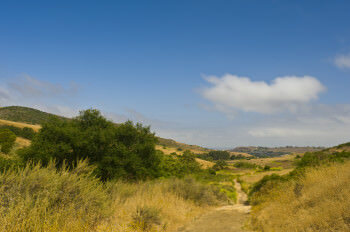 This activity originates in the City of Irvine and travels into OC Parks’ Limestone Canyon Nature Preserve. This hike is moderate to strenuous in nature. Pre-registration is not required in order to attend, however a waiver will be provided at the activity for you to complete at this special event.